Birds are awesome wild creatures to have around. I’ve been working hard to encourage a healthy habitat for birds in our yard because they sing delightful songs, they eat mosquitoes and other nasty bugs, and they leave a trail of seeds and plants wherever they go! Caring for our feathery friends is important, especially as their habitats are threatened by the expansion of our cities into the wild spaces. I feel a bit of responsibility to give them a hand. Some ways that I accomplish that are by keeping my hedgerows wild and brambly to provide nesting spaces and food sources, filling bird feeders to add to their forage, and by adding a variety of nesting boxes so that they have a safe and cozy home. 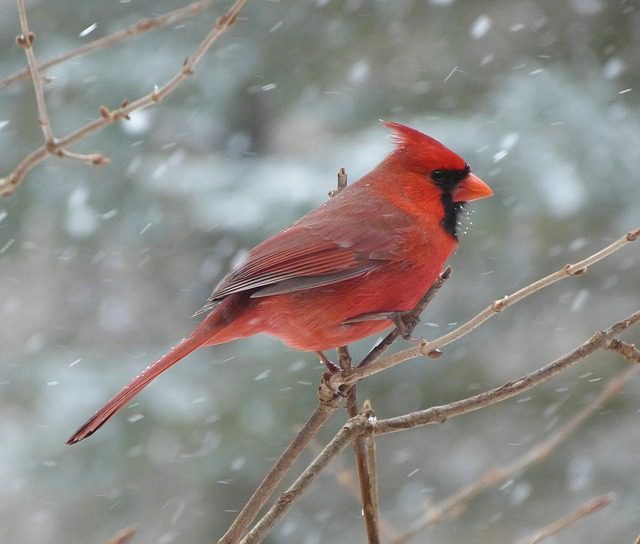 Winter can be an especially tough time for birds. 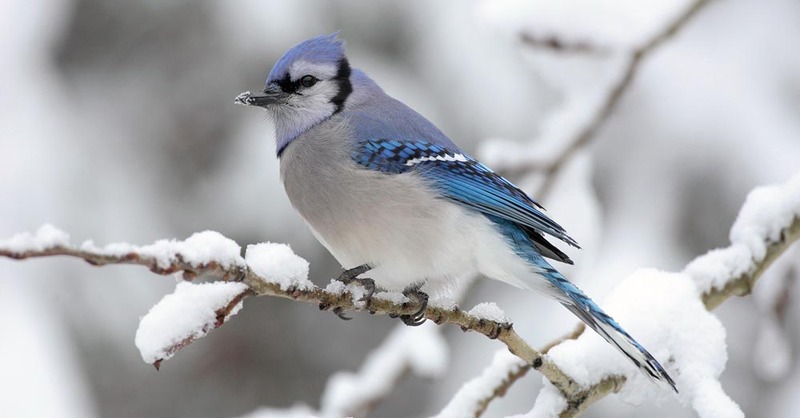 While some types of birds migrate, I have blue jays, sparrows, robins, and other birds that live here year-round. The brutal winds, snow, and ice make wintertime dangerous, and while they are amazingly adapted to their native climate, I can’t help wanting to assist them as we have more dramatic weather. This year has been one for the record books with cruelly cold temperatures and wind chill forecasts. At the time of writing this, we’ve not been above freezing for over a week, an uncommon trend for these parts of North Carolina! It is very windy here, and so I have been trying to find places to put birdfeeders that are out of the wind. I’ve noticed that my free-hanging feeder is still full of food while the more stable one is empty – time to make some changes and try new types of feeders! We all crave higher amounts of fats and protein during cold times and the birds are no different. Now is the time for buying or making suet blocks and buying birdseed that is higher in protein: black sunflower seeds, shelled peanuts, and millet are good choices. On days where it won’t freeze, put out a pan or dish of fresh water so the birds can get a nice drink. When the weather is warmer, I like to leave a birdbath out and fill it daily so they have regular access, but they freeze over in winter so I store them away during the cold months. You will find a wide variety of bird feeders at most home maintenance stores and department stores. Don’t get overwhelmed by the choices! When in doubt just get what looks good to you and give it a try. If you are feeling frisky, get both a hanging, swinging feeder and a stationary feeder because each attracts different types of birds. A specialty wild bird supply shop can be a great resource if there is one in your area. These niche stores are useful, especially if you are trying to accommodate the needs of specific birds. The knowledgeable staff can help you to do some research on what you’ll need to bring the right kinds of songbirds singing to your doorstep! 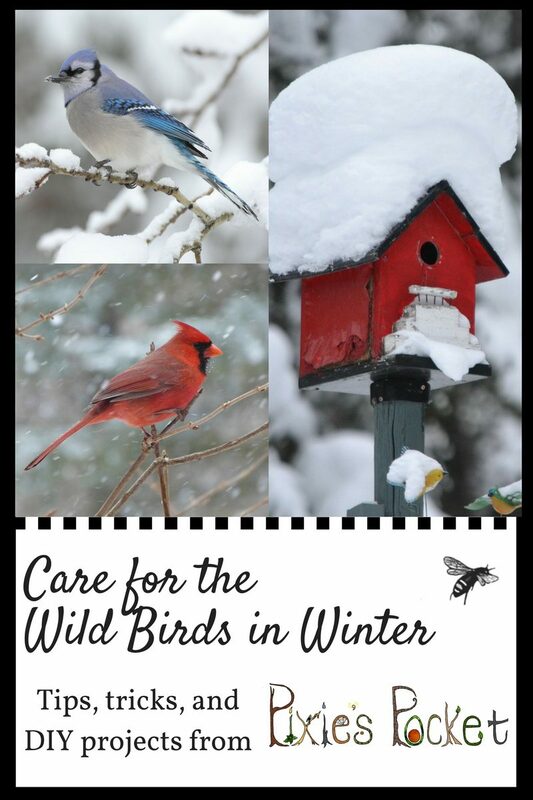 You can also shop online for bird feeders and birdhouses at the National Wildlife Foundation site (US) and your purchase will help benefit their program. Suet blocks are easy to create in your kitchen from extra grease, birdseed, and a few other bits. Take a look at my recipe post on how to make suet blocks at home! You can even use cake pans, fancy tart molds, or cookie cutters to make them into shapes. Suet cages are cheap and can be reused many times, or just tie them with ribbons and hang them from a branch. Grab a pinecone and bring it inside. Tie a ribbon around the top and make a loop so that you can hang it up later. Smear the pinecone with all over peanut butter, and roll it in birdseed before hanging it in a tree. Peanut butter is high in fat and good for helping a bird keep warm! I remember making these when I was a Brownie Girl Scout umpty-something years ago. Here’s a guide from My Kid’s Adventures. Here’s a cute recipe for birdseed treats made with gelatin by PinkPistachio.com – these would look lovely in a gift basket. 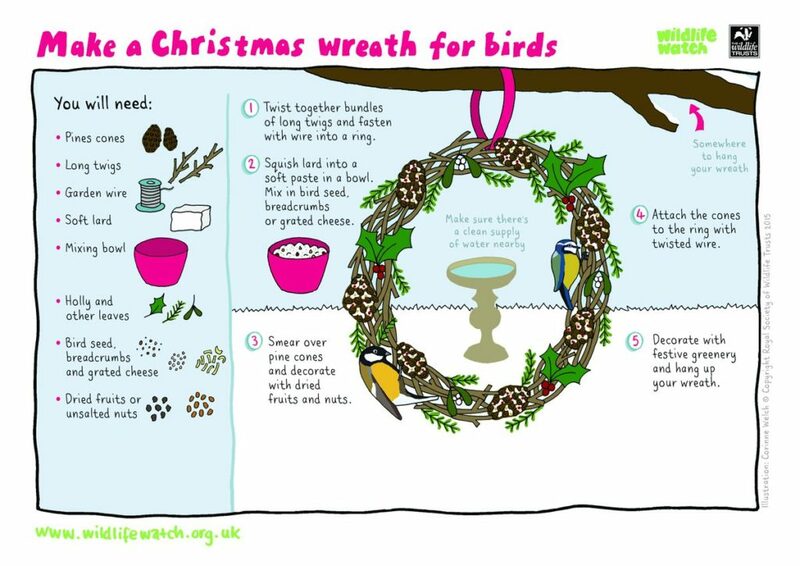 Last, but not least, here’s a belated holiday-themed wreath – but I don’t think the birds will mind if we forget them on Christmas day proper!